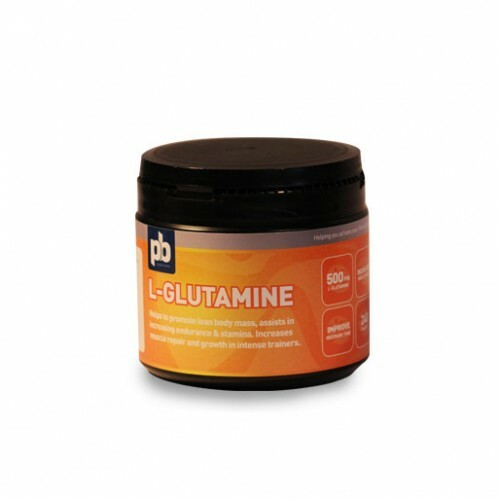 L-Glutamine helps to promote lean body mass and assists in increasing endurance and stamina. It aids in rapid recovery after training and enhances fat metabolism during training. It also increases muscle repair and growth in intense trainers. Research reveals that benefits associated with glutamine are; an increase in growth hormone levels, the prevention of muscle breakdown, an improved immune system, an increase in protein synthesis, and improved intestinal health. Glutamine is a fundamental ingredient in weight trainers and something that must be seriously considered. Not only will it aid your development and recovery, it will also help you to be ready to go again for your next training session through its ability to restore the working muscles quickly.